Well, I can’t quite believe I am 4 weeks into marathon training. When I first started planning this blog, it felt like ages away that I would be sharing the start of this journey with you. If you follow me on Instagram, you’ll know what I’ve been up to, and I hope you will stick around and follow me! This is an experience of a lifetime and one I will remember for the rest of my life and want! 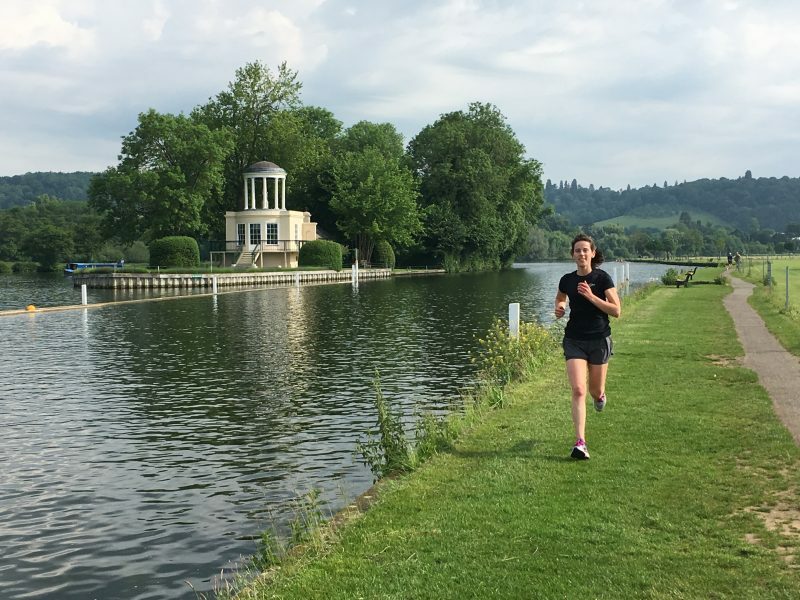 Week 1…lets just say it didn’t quite go to plan…I was suffering with tight and painful calves, my hips were also tight and my back was constantly aching. I came up with every excuse of what it could be and finally discovered it was the shoes I was running in. If there is one thing I’ve learnt so far, its sticking with the shoe that works for you. As Thomas Bertram said, “if it ain’t broke, don’t fix it” and my beloved Brooks will forever be my running shoe of choice! In fact, I’ve order two pairs of the exact same model, because I love them and they work so well with my feet! Week 2…Again, another not so great a week. I ended up skipping one of my runs, due to my calves and back. However, I did have a great training session, which felt great to move my body and get my muscles working, without pounding my body into the ground. I had a much needed sports massage and rested before my 8 mile long run. Which surprisingly went really well and my confidence was boosted again! Week 3…A much better week, starting off with a rest day. The little girl I look after was quite poorly, which meant lots of cuddles, a movie and baking, to make her feel better. As the week carried on I continued to listen to my body, bathed in magnesium flakes and went to my favorite pilates class. The week ended on a high with a frosty long run and a trip to Birmingham, with Charlie, to attend the National Running Show. 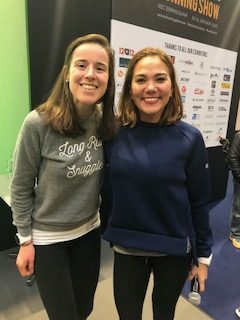 I really enjoyed meeting Susie Chan, wondering around the stalls and listening to some great talks. Week 4…With 5 miles to start the week, I was feeling strong and motivated, even with the dark, cold and wet mornings. However, this quickly changed with the sad news of a friend who suddenly passed away. It made me realize, even more so, how precious life is and how quickly it can change. I was determined not to let this impact the rest of my week, but make me aware of how truly lucky I am to have my health. She’s been in my thoughts and I look forward to celebrating her life, next week, with her family and friends. 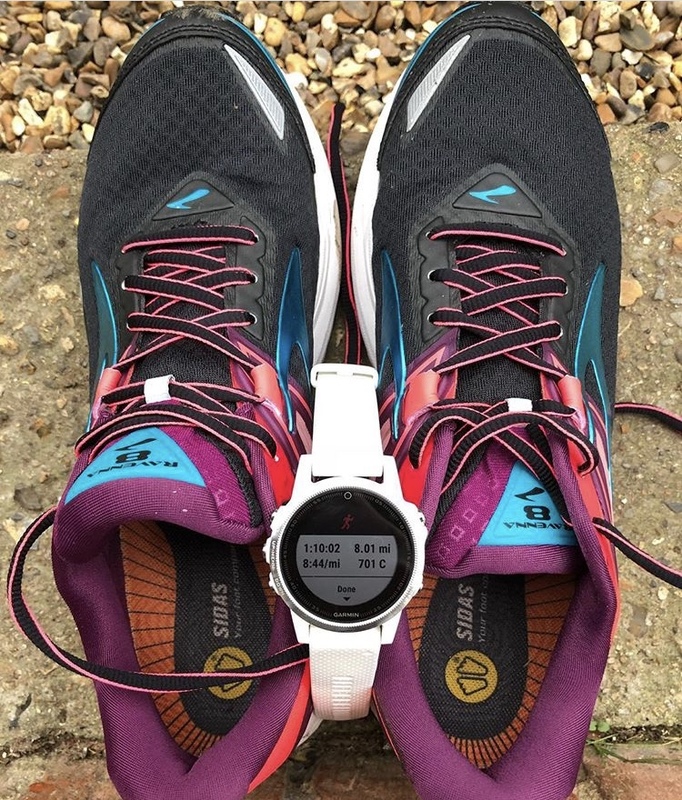 So, as I prepare to enter my next block of runs, I am admittedly, feeling quite nervous about the longer runs and what is yet to come with training. However, I plan to take it head on and embrace every week with an open and positive mind. My main focus is to stay strong, which will help me, hopefully, stay injury free. All my niggles have gone at the moment – and thats the way its going to stay! I’ve been training twice a month with a trainer, whom I can’t thank or recommend enough! I crave the strength sessions, especially after a long run – anyone else experience this?! – but in general, I love them and am prepared to put my money towards them. Marathon hunger is also a real thing…I admittedly didn’t believe it at first, but now I know. It’s quite overwhelming sometimes but equally I am more than happy to eat, nourish and fuel my body, and now carry A LOT of snacks around with me!! Alongside the training, is the fundraising. I can’t express how thankful I am to everyone who has sponsored me so far. It means the absolute world that you are helping support a charity full fill the dreams of many children, as well as me. I’ve managed to raise nearly half of what my target is, and to help me raise more, I’ve planned two events. One being a curry night, in Henley, and the other is a pizza night at a local cafe just outside of Reading. So, if you live near or want to come, please do let me know! I am planning a raffle for the curry night and the pizza night will be a fun evening eating THE most delicious pizza! I’d love for you to join me but if you can’t, I’ve linked my fund raising page here, and would be extremely grateful for any donations, every little helps! So, as I leave behind this past month on a super high, I hope everyone else’s training is going well so far and that you too are feeling strong, positive and motivated! You are all doing so great – keep running!